Can a young baseball star maintain his love of the game after the loss of his brother? Find out in this start to the Home Team series about a small town with high hopes, from New York Times best selling author and sportswriting legend Mike Lupica. Jack Callahan is the star of his baseball team and sixth grade is supposed to be his year. Undefeated season. Records shattered. Little League World Series. The works. That is, until he up and quits. Jack's best friend Gus can't understand how Jack could leave a game that means more to them than anything else. But Jack is done. It's a year of change. Jack's brother has passed away, and though his family and friends and the whole town of Walton thinks baseball is just the thing he needs to move on, Jack feels it's anything but. In comes Cassie Bennett, star softball player, and the only person who seems to think Jack shouldn't play if he doesn't want to. As Jack and Cassie's friendship deepens, their circle expands to include Teddy, a guy who's been picked on because of his weight. Time spent with these new friends unlocks something within Jack, and with their help and the support of his family and his old friends, Jack discovers sometimes it's more than just the love of the game that keeps us moving - and he might just be able to find his way back to The Only Game. 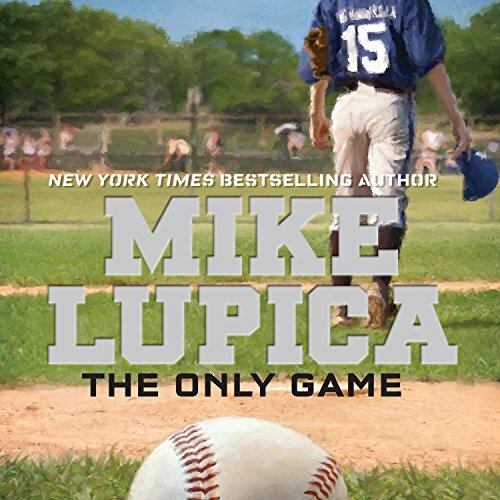 Another great book by Mike Lupica!